Our mohair yarn goes a long way due to it’s looped texture – one ball can knit 1 to 2 loosely knitted scarves! Our mohair yarn is dyed and balled at our mill in Graignamanagh. Example: approx. 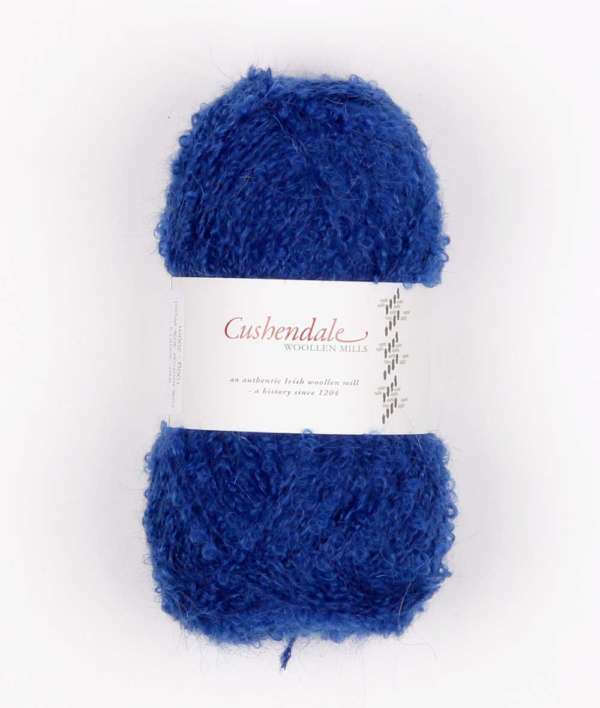 6~8 100g balls of mohair yarn are needed to knit a lady’s sweater. We recommend professional dry cleaning for our products, all of which are made from natural fibres. Spot cleaning with cold water and mild detergent suds is possible if carried out by dabbing the fabric i.e. not rubbing the fabric.